A new year is up on us! To celebrate the completion of our 3rd year and the beginning of our 4th year of 2nd Mondays Poetry Party, we are featuring poets from the newest Lummox anthology! The readers will be Frank Kearns, Mark Evans, Gil Hagen Hill, Sarah Daugherty, Ted Kane, Bill Craychee, & Raindog. As always, hosted by G. Murray Thomas and Sarah Thursday, sign-ups begin at 6:45 and reading at 7:00. Since we have multiple features, please arrive on time so we can get started right away! Fox has tons of hot drinks to warm your soul. The Lummox Press has published over 240 titles in the past 22 years, including chapbooks, the Little Red Book series, a series of perfect bound books (the Respect series), the Lummox Journal, an annual Lummox Poetry Anthology and e-copies. The goal of the press is to elevate the bar for poetry, while bringing the ‘word’ to an international audience. We are proud to offer this book as a part of that effort. 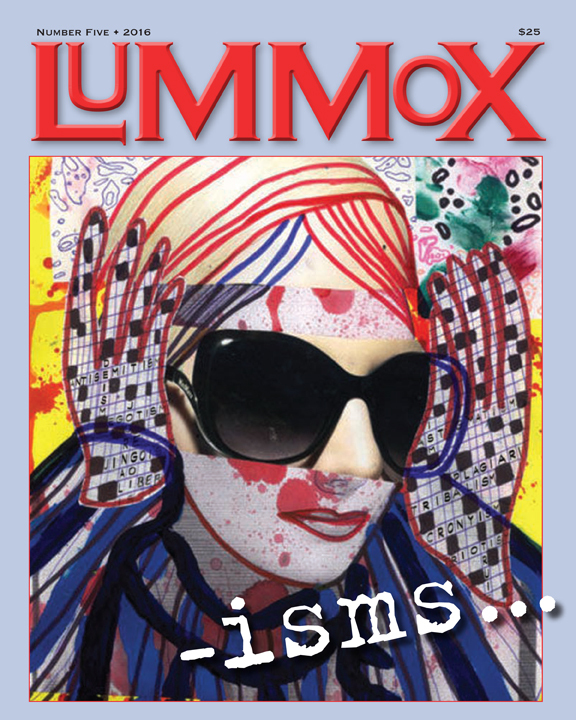 Lummox 5 (the Lummox Poetry Anthology and Poetry Contest); the theme of this year’s Anthology and Contest is ISMS. Isms are defined as “a distinctive practice, system, or philosophy, typically a political ideology or an artistic movement.” There are hundreds of Isms and the one hundred and forty five poets in this issue tackled this diversity of ISMS with creativity and enthusiasm.